Paytm Bhim Upi Offer – Get Rs 33 Cashback On 3 Completing Transactions. 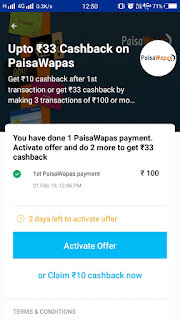 1) First of all, Download Paisawaps App from Play Store. 5) Now You’ll get a push Notification from Paytm for ” 3 pe 33 Cashback ” Offer or you can simply go to paytm Cashback offers section and Activate it. 6) if you don’t want to do more txn then simply claim It to get 10 Rs cashback. 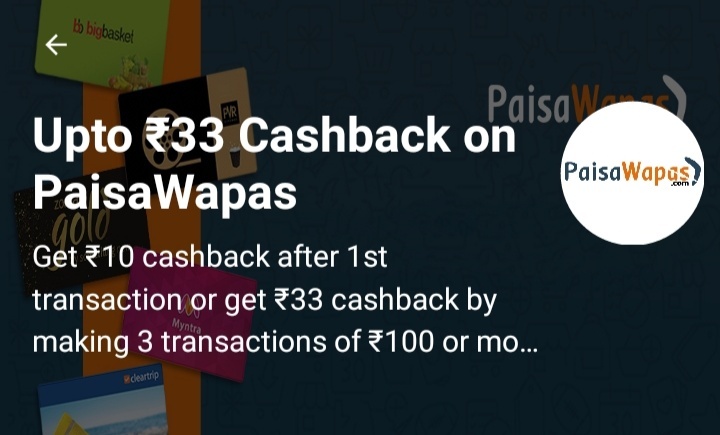 8) You Will Get Rs.33 Cashback From Paytm within 48 hours.